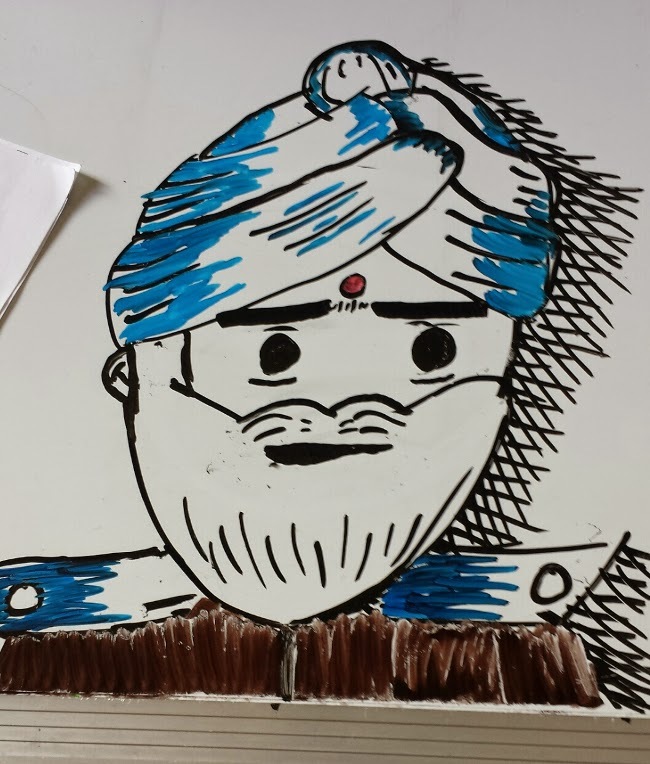 Just before Al-Qadim Game 4 started, Dave was playing around on the White board and quickly drew a sketch of his Gnome Desert Rider Zubayr ibn Nijad. 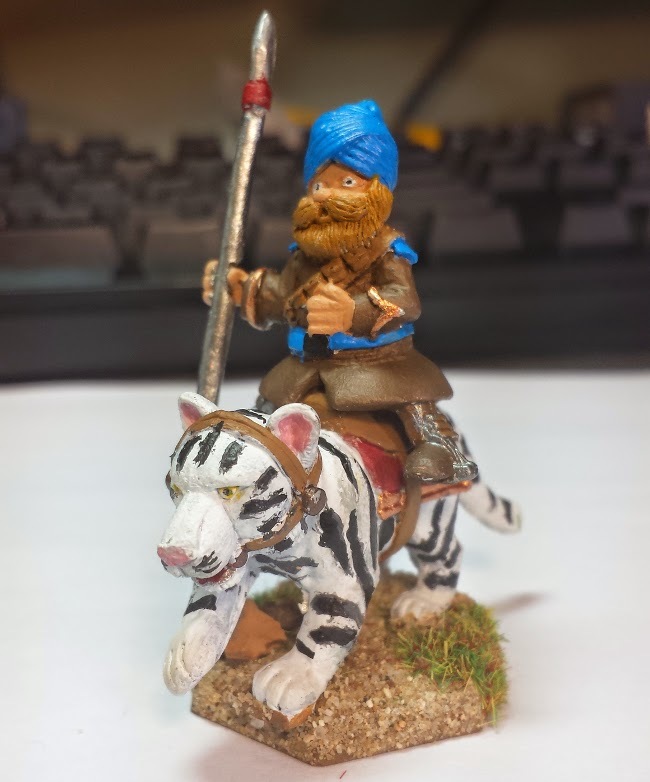 He based the sketch off of his mini which we got from Brigade Games Gnome Wars. Now technically the mini is a Gnome version of a Colonial Soldier from India but, given the slim selection of gnome minis, I think we did well.